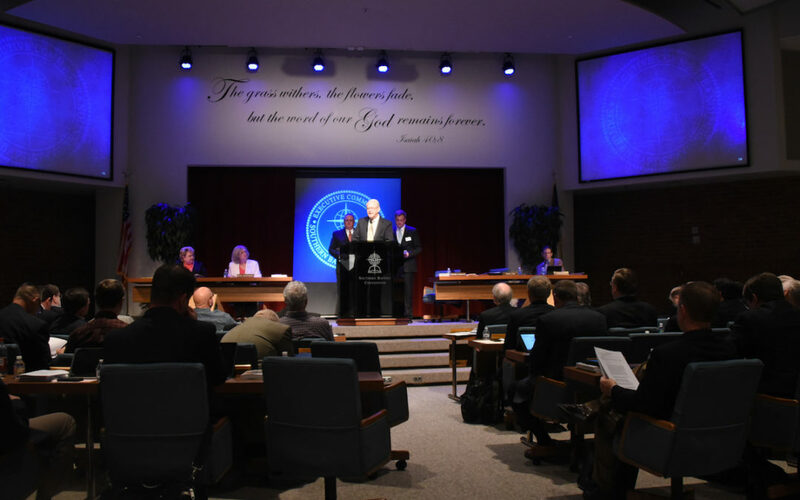 Following the escrowing of Cooperative Program funds by Prestonwood Baptist Church earlier in 2017, the SBC Executive Committee formed a Cooperative Program Study Group “to study and recommend redemptive solutions to the current reality in Southern Baptist life of churches either escrowing or discontinuing Cooperative Program funds.” This group reported on their findings at the September 2017 meeting of the Executive Committee. 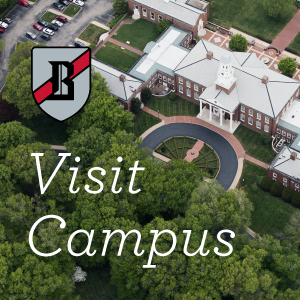 Baptist Press released a story on some of the findings and recommendations following the Executive Committee meeting. Reports from state convention executive directors indicated that as many as 75 churches were either escrowing, designating, or withholding funds. However, only 14 of the 45,000+ churches in the SBC were confirmed as either escrowing, designating, or withholding funds. In interviewing state convention executive directors, committee members found that 22 state convention executive directors were unaware of any churches in their convention that were escrowing, designating, or withholding funds from the Cooperative Program. Reasons for the escrowing, designating, or withholding funds were varied as well. Some were related to political activity of the entity or entity head. Some were related to congregational debt or lack of benefits provided to the church by the convention. We encourage first and foremost that the Southern Baptist Convention keep its focus on the overall goal of winning the world to Christ. We suggest that in the event of a conflict, or issues that are deemed threatening to the Cooperative Program, a process fashioned after the restoration model outlines in Matthew 18 be entered to bring about a resolution. It is important to note that the role of the Executive Committee is not to infringe upon the roles and responsibilities of the trustees of any SBC entities. The Executive Committee representative in this resolution process shall be the President/CEO of the Executive Committee of whomever he designates. We encourage each Executive Committee member establish regular and consistent communications with their state executive director and/or convention office to be attune to state items/issues that may threaten the Cooperative Program. We suggest the development of a line of communication to the SBC Executive Committee via the establishment of an email address within the Executive Committee system specifically for the Chairman of the Executive Committee. We encourage theExecutive Committee Convention Relations Office continue to monitor and categorize incoming communications regarding items that may impact the Cooperative Program. We suggest a summary report be made to the Executive Committee officers of such communications during their regularly scheduled meetings in February, June, and September. We ask the Executive Committee Convention Ministries Workgroup review the report from the Convention Relations Office at the Executive Committee meetings in February, June, and September. Any significant findings of the workgroup should be presented to the Cooperative Program Committee for further review and action. We suggest the Cooperative Program Committee will bring a report to the SBC Executive Committee annually at the September meeting. We suggest the Cooperative Program Workgroup with guidance from the Executive Committee Convention Finance office establish a variation threshold for CP gifts as reported in the monthly reports received by the Executive Committee members that would inform contact with the state convention office via the Executive Committee member representing that state convention. We encourage the Cooperative Program Committee as a whole to take a more active role in assisting the Cooperative Program and Stewardship office in promoting the Cooperative Program. Committee members should be well-versed in the resources available through this office and promote such resources.